The War begins Friday, prepare for battle with our Phase 2 Summary! With Captain America: Civil War being the first film premiering in Phase 3 of the Marvel Cinematic Universe (MCU), this summary guide will be the perfect refresher for Phase 2 and can help prepare you for Civil War! 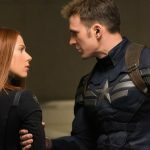 While the Marvel films can be enjoyed without knowing Phase 1 and Phase 2, being familiar with the MCU will fill you in on how the characters became the way they are. Our Phase 1 guide is also available to check out before going into Phase 2 below! Phase 2 continues in the aftermath of the Avenger’s battle in New York. Iron Man, Thor, and Captain America have their own films and the Avengers expand their team in Avenger’s Age of Ultron. This Phrase also introduces a new team, the Guardians of the Galaxy, and another superhero Ant Man into the Marvel Cinematic Universe. 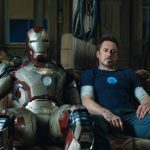 Iron Man 3 happens six months after the Avengers save New York, but Tony isn’t at home resting. A terrorist group led by “The Mandarin” want Tony to perfect their Extremis formula, which causes people to self-destruct. Their leader is Aldrich Killian, a man Tony has offended in the past. Killian has Pepper Potts captive and injects her with Extremis to force Tony to find a way to prevent Extremis users from blowing up. During the final battle Pepper uses Extremis to her advantage, helping Tony and Captain Rhodes stop Killian from killing the President. They are also helped by an army of self-flying suits Tony created in the aftermath of New York. At the end of this battle Tony actually destroys all of those suits and properly discards the shrapnel lodged near his heart. The shrapnel connects to the mini-arc reactor essentially powering his suit, so by removing this he lets go of his physical tie to Iron Man. In the end credits there is text that reveals “Tony Stark will return” rather than “Iron Man will return”, creating ambiguity as to his superhero identity. While Loki is imprisoned in Asgard for his crimes during the Avengers, Thor and the other Asgardians learn that portals between worlds are being created by the Convergence, or a phenomenon that happens during the alignment of the Nine Realms. Jane Porter stumbles into a portal and becomes infected with Aether, an infinity stone holding a mysterious dark force. 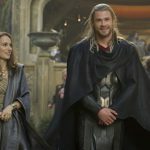 Thor finds her and brings her to Asgard, where Malekith and Alrgim, two dark elves who seek to control the Aether, attack. 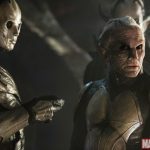 Loki agrees to help and he, Thor, and Jane confront Malekith and Alrgim. Algrim is killed but fatally wounds Loki as Malekith escapes with the Aether. Thor and Jane learn that Malekith plans to unleash the Aether in the center of the Convergence on Earth. Thor defeats him and returns to Asgard, where he refuses Odin’s offer to become king. As he walks away Odin’s facade fades, revealing him to be Loki in disguise. Guardians of the Galaxy introduces Peter Quill, a man living in space masquerading under the superhero name Star-Lord. Quill steals a mysterious orb from an abandoned planet and Gamora, an alien, pursues him to retrieve it. Their fight attracts two bounty-hunters: a cyborg raccoon named Rocket and a sentient human/tree hybrid named Groot. 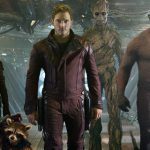 Quill, Gamora, Rocket, and Groot are captured, and in prison they meet Drax, a warrior who seeks to avenge his family’s deaths. All five work together to escape the prison in Quill’s ship. They attempt to sell the orb which, when opened, reveals an infinity stone. Ronan, leader of an army and working together with Gamora’s adoptive father Thanos, attacks and takes the stone. He embeds the stone in his warhammer, unleashing its power for himself. Quill enlists the help of the Nova Empire’s military force, but almost all are destroyed by Ronan. They all crash but, by distracting Ronan with singing, Quill is able to grab the stone and use its power alongside Gamora, Rocket Racoon, Groot, and Drax to defeat Ronan. Quill gives the stone to the Nova Corps and learns that while his mother was human, his father was part of an ancient alien species. 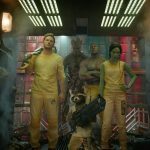 He, Gamora, Rocket, Groot, and Drax unite as the Guardians of the Galaxy and leave in a re-built version of Quill’s ship. Steve Rogers is still adjusting to a life with technology two years after the Avengers battle in New York. After recovering a flash drive with HYDRA information with Natasha Romanov, they are informed S.H.I.E.L.D has been infiltrated by HYDRA. They have also created a data-mining algorithm that can identify and kill individuals who are determined to be a threat from flying aircrafts called Helicarriers. 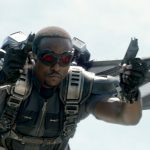 The two recruit Steve’s new friend Sam Wilson, and with Sam’s “Falcon” wingpack he is able to assist them in stopping the Helicarriers. However during their battles, they are ambushed by a mysterious assassin known as the Winter Soldier, who Steve realizes is actually his best friend Bucky Barnes. Steve tries to get Bucky to remember who he is, but the Winter Soldier does not respond. In the final battle, Black Widow and Nick Fury expose HYDRA’s plan to the public. Steve refuses to fight Bucky and when he is thrown from the Helicarrier, Bucky actually saves him but disappears. In the post credit scene Bucky is seen visiting his memorial at the Smithsonian Museum. The Avengers are reunited and this time have to defend the world from HYDRA’s super human twins Pietro and Wanda Maximoff, who have super-speed and telekenesis, and their own creation Ultron. Ultron begins as a robot who believes it is his mission to save the world by destroying all humans. He was supposed to be an artificial intelligence global defense program, but when Tony Stark and Bruce Banner use Loki’s scepter to complete the program, Ultron comes to life. 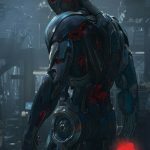 Ultron forces a doctor to create a human-like body for him to upload into, and to protect him during the procedure he enlists the twins – however, when Wanda discovers his plans they turn against him. The twins team up with the Avengers and Tony is able to upload his trusty program J.A.R.V.I.S into a physical body. Thor uses an Infinity Stone, bringing the body to life as the “Vision”. 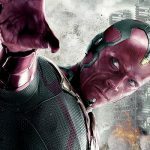 The Vision wants to protect the world and helps the Avengers and the twins destroy Ultron. When Pietro sacrifices himself to save Hawkeye during the final battle, Wanda decides to stay with Avengers. Bruce Banner, who struggles with The Hulk throughout the whole movie, chooses to go into hiding after the battle. The film ends with Captain America and Black Widow preparing to train their new Avengers: the Vision, Sam Wilson (Falcon), Wanda and Tony’s best friend Captain Rhodes. The end scene reveals that Thanos is impatient with others failing, and decides to get the Infinity Stones himself. Ant Man is Hank Pym, creator of a formula that shrinks objects down to the size of an ant. Hank also invented the Ant Man suit that gives the user super strength, agility and the ability to be the world’s best soldier without being seen. 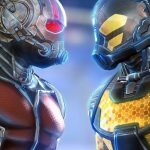 Years after, his protege Darren Cross suspects Pym to be Ant Man and develops a similar suit and formula called the “Yellowjacket”. Cross’s intentions are to sell the Yellowjacket to HYDRA and defy Hank as his mentor. Hank Pym chooses Scott Lang as a worthy person to become the next Ant Man and stop Cross. Hank’s daughter Hope trains Scott to control the suit and communicate with ants to become his allies. 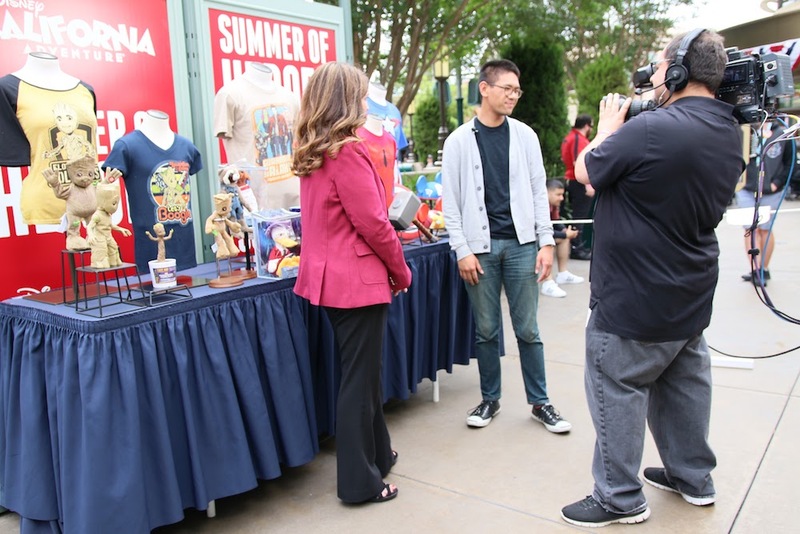 With Scott’s team of friends, they are able to get into Pym Technologies to destroy the production of the Yellowjacket formula. In the final battle between Ant Man and Cross in a Yellowjacket suit, Scott has to shrink to a dangerous subatomic level to destroy Cross’s suit. He almost dies in the process but manages to shrink Cross instead. 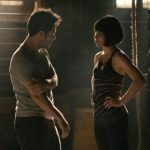 The film ends with a romance forming between Scott and Hope, as well as Hank showing Hope her suit “the Wasp”. In the post-credits scene Captain America and the Falcon have captured the Winter Soldier and are holding him for interrogation. Phase 2 reveals HYDRA’s continuous attempts to take over the world as well as aliens’ attempts to take over Earth. With Phase 3 kicking off Friday with Captain America: Civil War, we will find out what our hero’s plans are to continue saving the world. Now that you are caught up in the Marvel Cinematic Universe find out which side are you on: #TeamIronMan or #TeamCap?